The paralegal field is projected to steadily increase in demand and jobs through the year 2018, according to the Bureau of Labor Statistics; eventually 70,000 new positions are slated to become available as trained attorneys and busy firms delegate out-of-courtroom tasks to legal assistants while the lawyers focus on dominating their cases. This leaves a lot of room for a paralegal to swoop in and help with everything else. While paralegals cannot dispense legal advice as they are not trained attorneys, there is a huge variety of jobs for a paralegal to do. So great, in fact, that many decide to specialize in certain aspects. Being a paralegal is rarely dull or overly repetitive; there is opportunity for advancement, problem solving, interacting with clients, researching law, drafting legal documents, interpreting documents and expanding skill sets. It is often a lot of work, but it is also very rewarding. In 2011, the Bureau of Labor Statistics revealed almost 7,000 paralegals gainfully employed in Massachusetts, especially concentrated in the Boston-Quincy-Cambridge area. 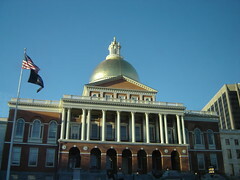 Following suit with most states Massachusetts does not regulate the paraprofessional field, meaning there are no minimum requirements for education or experience needed to enter into a paralegal job. Contrary to that, many employers prefer a candidate that has formal training and is more effective than a new employee who does not. Still, it is possible to enter into the field without any previous paralegal focus. 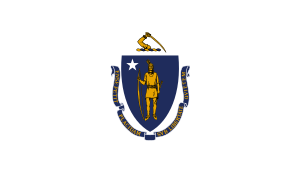 The only real hard-and-fast rule Massachusetts maintains concerning the field is Rule 5.3, which states that a paralegal or legal assistant (or any other paraprofessional) must be under the supervision of a bar-certified and practicing attorney or attorneys in order to assist with substantive legal tasks. These attorneys are required to oversee the work of the paraprofessional and assume legal responsibility for professional conduct and agree to instruct the assistant in matters of ethics and confidentiality. To be officially a certified paralegal in this state, one must complete a certain amount of work experience and schooling, or one or the other, and successfully pass one of four national exams. These exams are offered by one of three nationally recognized paralegal associations and are a way to showcase and spotlight proficiency and skill in the paraprofessional field. They are highly respected and can help a candidate stand out among her peers. Each exam can require different prerequisites before sitting so please refer to the chart for qualifications. The PACE exam is sponsored by the National Federation of Paralegal Associations (NFPA); the PCC is another exam that is also sponsored by the National Federation of Paralegal Associations (NFPA). The National Association of Legal Assistants (NALA) offers the CLA/CP exam, while the Association for Legal Professionals (NALS) extends the PP. Once an exam is passed, the paralegal is granted title of certified. Certification is through formal education, courses taken or degrees earned. There are a number of ways to become certificated. An aspiring paralegal can earn her Associate Arts degree (AA) or Associate of Applied Science degree (AAS) in paralegal studies, criminal law, or similar. These tend to be two-year programs. One can also earn a four-year degree for a Bachelor of Arts (BA), a Bachelor of Science (BS), or even a Post-Baccalaureate certification if one already possesses a BA in any discipline. The Post-B certificates often are shortest and take roughly a year to complete as the educational basics are already satisfied. Again, while education is not required, it is strongly encouraged. Those already in the paralegal field who do not have a formal education could consider online or evening courses. Massachusetts is bursting at the seams with ABA-approved schools and programs for this field, offering six different options. Bay Path College in Longmeadow is a private women’s college offering two year (AAS) and four year (BA, BS) degrees in paralegal studies, plus a Post-Baccalaureate certificate. Students who already claim 60 or more credits, such as for a Post-Baccalaureate, can apply for entrance into the college’s Certificate of Advanced Paralegal Studies Program, which takes about a year to complete. Internships prove mandatory for the BA, BS, and AAS, and is recommended for the P-B Certificate. Elms College in Chicopee has programs in legal studies and paralegal studies programs in a private setting. They offer AA and BA degrees, a P-B Certificate, and a Legal Nurse Consulting Certificate. They also offer a BA in social services paralegal. Two semesters is minimum required for students to complete the certificate programs in a full-time capacity. Mandatory internships are for the BA degrees. Middlesex Community College (Bedford and Lowell Campuses) in Lowell is a two-year public college that offers paralegal studies. They extend an AS degree and a P-B Certificate. For the post-graduate the program is about a year long, while the AAS is a standard two-year degree. Internships are required for the AS career track, elective if the student wishes to transfer to a four year school for a BA, and elective for the P-B Certificate. Northern Essex Community College in Lawrence is a public, two-year college that offers a paralegal studies program. Like Middlesex Community College, it will supply an AS transfer to a four year university for an eventual BA in paralegal studies, or one can remain at the AS level and move into a career immediately. It also extends a Post-Baccalaureate Certificate that requires two semesters and nine courses for completion. The AS degree requires four semesters of five courses each. In both, the internship is elective. North Shore Community College in Danvers is a public two year school offering an AA, and AS, and a P-B Certificate in paralegal studies. The degrees require 120 hours spent interning and a two-hour seminar every week for the 15-week semester. There is a certificate program available for those who already hold an AA in another discipline as well as a P-B Certificate. For the certification, internship is elective. Suffolk University in Boston is a private institution that offers degrees in a paralegal studies program. It will grant the successful completer either an AS, a BA, or a P-B certificate. Nine months is the minimum required time to complete the Certificate program if courses are started in fall. Internships are required for all degree programs but elective for the certificate. Both day and evening classes are offered. There are a number of law firms known to hire entry-level paralegals often. Below is a truncated list.